Below are some resources and links to obtain this equipment. The TASK mat can be ordered from Identity Matters. Ask for the TASK floor mat. 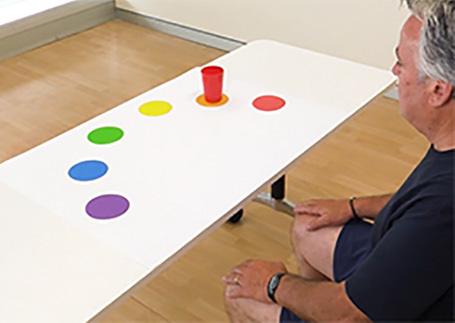 If this is too expensive, you can also purchase the coloured circles individually from Good Buddy or Sit Spots. The placemat can be printed from the image below. It is designed to be printed on A3 sized paper (although, we recommend printing it on cardboard rather than paper). Depending on your browser, you may need to right click and print or save the image manually after clicking on it. 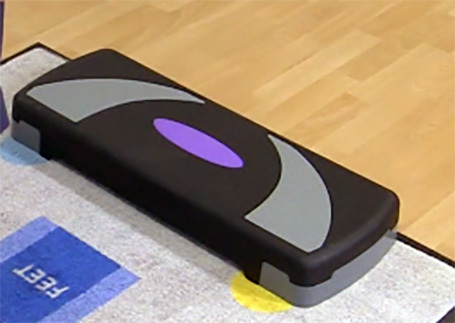 An exercise step can be purchased for approximately $20 from either Target or K-Mart. They are also available at most sporting stores.